Located in the Pacific Northwest, Oregon is home to expansive forests and an extensive coastline on the Pacific Ocean. The state is well known for its lumber industry and agriculture, especially berry, wheat and hazelnut production. Paper and lumber mills, which are known for asbestos use, are common throughout the state. 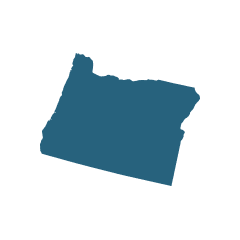 Oregon is also home to naturally occurring asbestos, and the state has a small history in asbestos mining. Because of Oregon’s coastline, the state was an ideal location for many shipyards. When these shipyards peaked in production, the use of asbestos-containing products was extensive and many workers were exposed to the toxic material. An in-depth 2004 study about asbestos within the U.S. ranked Oregon at No. 15 for related deaths between 1979 and 2001. In Oregon, it is estimated that between 150 and 200 facilities were a source of exposure for workers. Not surprisingly, shipyards, lumber mills and paper mills account for a significant number of worksites that used contaminated products. Oregon is also among a number of states that have naturally occurring asbestos, and several mines previously operated within the region. Asbestos was commercially produced at three locations in Oregon, including the Mount Vernon deposit in Grant County, the Raspberry Creek deposit in Jackson County, and the L.E.J. Asbestos mine in Josephine County. The Mount Vernon deposit was managed by the Coast Asbestos Company, where production began in 1959. The mine produced chrysotile asbestos, and as much as 5,000 pounds of recovered fiber could be processed every eight-hour shift. In 1943, the Raspberry Creek deposit was mined for tremolite asbestos. The work was performed on the south side of the creek, about a quarter mile to the west of the fork at Evans Creek. During that year, the mine produced 600 pounds of fiber. The L.E.J. Asbestos mine also produced a relatively small amount of tremolite asbestos. The deposit was located on the southwest side of Bolt Mountain. In 1952, the mine processed three tons of tremolite asbestos. Mining was one of the most hazardous environments for asbestos exposure. The process of extracting the fiber from the earth and transporting it to the facility for processing was especially dangerous. Mining operations rarely used safety equipment and certainly failed to implement the safety precautions that are required today when handling the toxic mineral. 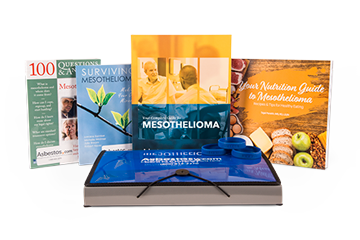 The risk of developing mesothelioma cancer is a concern for former employees. Shipyards along Oregon’s coastline were primary sources of exposure for thousands of workers. During World War II when shipyards peaked in production, asbestos use was mandated by the U.S. Navy because of its ability to insulate and fireproof materials aboard ships. Unfortunately, anyone who worked or was stationed at these shipyards may have been exposed to varying levels of the mineral. In 1984, the U.S. Environmental Protection Agency (EPA) and the Oregon Department of Environmental Quality designated the Martin-Marietta Aluminum plant as hazardous. The facility was later declared a Superfund site and was placed on the National Priorities List. A lot of the waste from the site was sent to a landfill on the property, which the EPA said was contaminated with asbestos insulation. The Oregon Department of Environmental Quality has asked the EPA to conduct a time-critical removal action for the former Burns Air Force Station Radar Base site. There are concerns stemming from friable asbestos-containing materials around deteriorating buildings. Reports state these materials are on the ground, and buildings made with asbestos could potentially collapse. The Chiloquin Lumber and Box Company operated a box factory and lumber mill in Klamath County starting in 1918. While the box factory burned down in 1947, the lumber mill remained operational until 1988. In 2005, the Oregon Department of Environmental Quality performed cleanup activities that involved removing asbestos-containing materials from a boiler house and later demolishing the boiler. Before the cleanup, exposure was a concern. In 2004, a lawsuit was filed on behalf of Manfred Schiller, who died from mesothelioma cancer. Schiller was a former Oregon metals factory worker, and the lawsuit alleged he was exposed to asbestos while handling gaskets manufactured by Garlock Sealing Technologies. The jury awarded Schiller’s wife with a near $1.3 million verdict. The North Ridge Estates in Klamath Falls, Oregon, is a residential community built on the site where a Marine Recuperational Barracks facility was located in the 1940s. Some of the buildings were made with asbestos-containing materials, including pipe insulation, vinyl floor tiles and roofing products. When the buildings were demolished, the debris was covered with soil rather than taking the waste to a landfill. About 20 properties have tested positive for asbestos-containing materials and a removal project was initiated in 2003. On March 10, 2011, the North Ridge Estates was proposed for addition to the EPA’s National Priorities List as a hazardous site. In January 2014, the EPA finalized a blueprint for cleanup of the site, which involves the removal of two to four feet of contaminated soil.